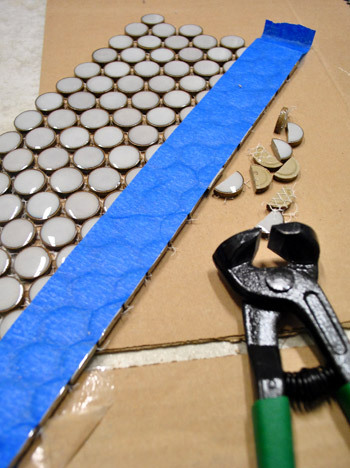 You can use tile nippers to clip small pieces of tile, mosaic tiles or edges off of larger tiles. 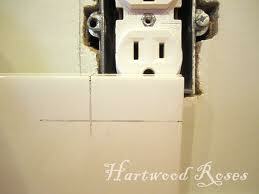 Don't plan on doing an install this way, first try a few of the tiles you happen to have to see how they will brake. This is not a traditional way of cutting tiles, but much like with a grinder, if you have a masonry blade (usually synthetic diamond coated) then you can cut most tiles this way. You need to be extra careful if this is something you are going to try. You can also have another person hold a hose or other water source pouring it over your cut as you go, being again careful not to get it near electrical components of the saw. 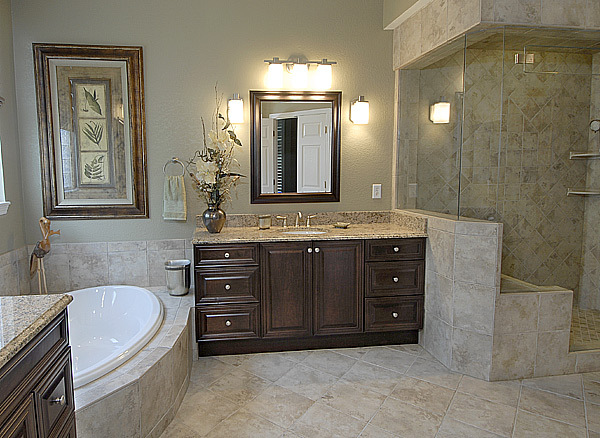 The above natural stone tile can easily be cut using a grinder with a masonry blade. 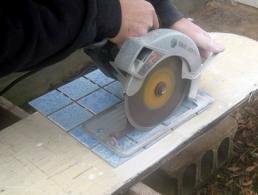 You can hold these tiles in your hand and the grinder in your other hand to make small cuts like the above. If your using porcelain tile you may get fragments flying off with such a style of cut. 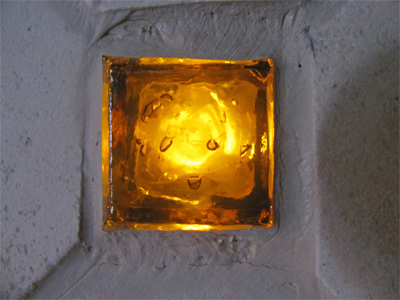 And if your using ceramic you will want to make even small cuts like the above with a tile saw using water and a flat solid surface. There is no need to make lines on the tile like this. If your tile saw isn't cutting straight you have a problem. You only need to make a pencil mark on each side where your line will go in at. 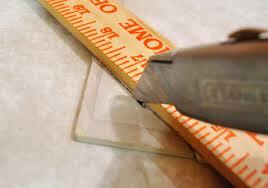 Most experienced tile cutters will be able to tell where the lines are going to meet. 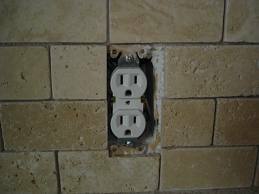 Like the above, even if you cut on one line an 8th of an inch to far, it would be covered up by the outlet plate. This is true for tiles around floor registers too. Need help or have more questions? 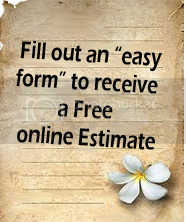 Feel free to contact a local tile installer to receive a free estimate on your Colorado or Denver Metro based tile project.